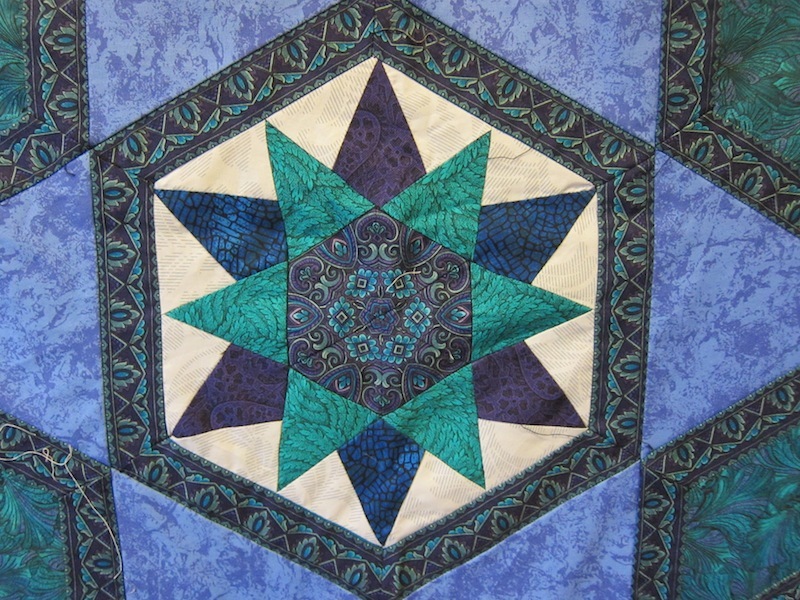 Years ago – I think it is about 6 years or maybe more – one of my BFF’s, Janelle, and I started making a quilt for her daughter, Novim. 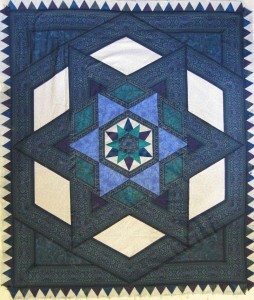 The quilt is from Jinny Beyer and is a kit that Jinny put together. 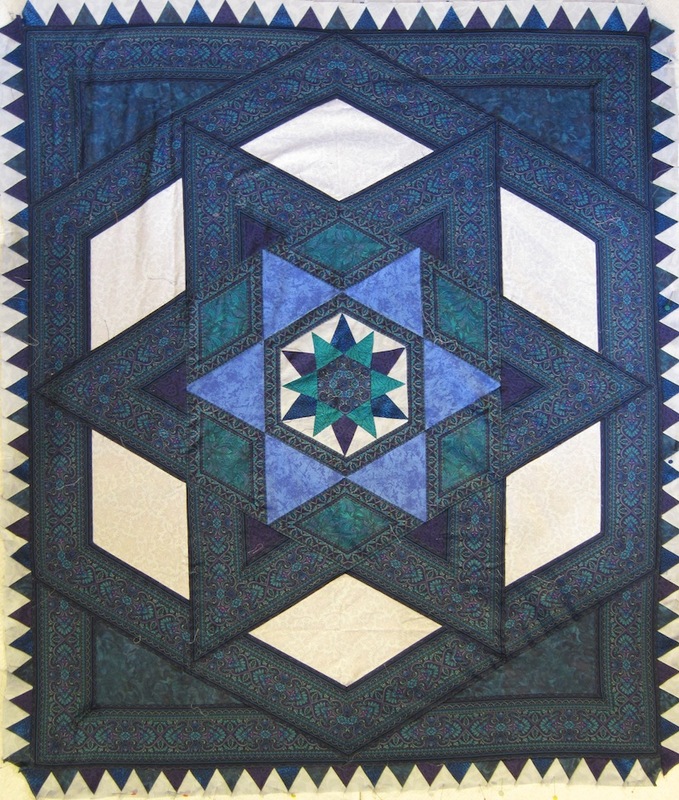 I have to tell you, this is the most difficult quilt I have ever worked on. 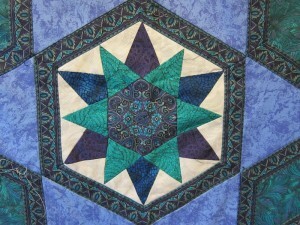 What makes it difficult is the extensive use of border fabric. Getting the borders to line up in so many places and in so many ways has been a real challenge. Often, it is more of a mental challenge than anything else. I swear it feels like I’ve ripped out twice as many seams as I’ve sewn in this quilt. So, it’s been years and years of working on this quilt sporadically. And, no, we are still not finished with it. But, today we finally put the saw tooth border on it. But, it’s not done yet! I just hope it doesn’t take another 6 years to finish.